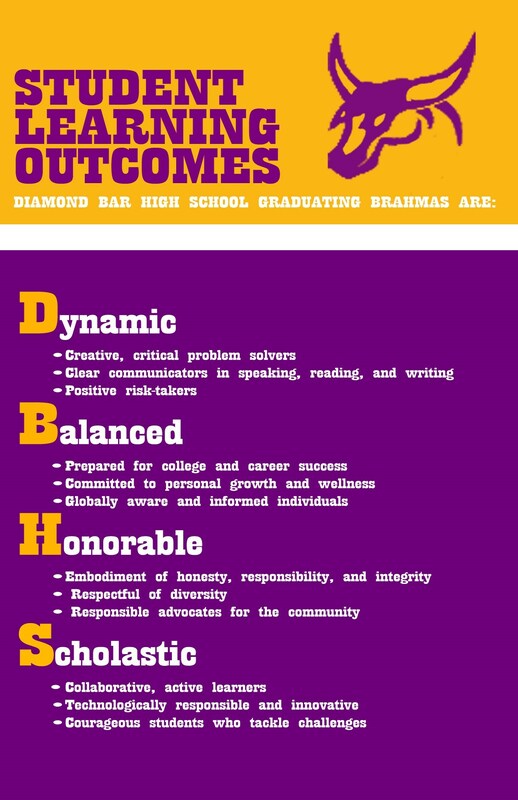 Diamond Bar High School will be a premier school committed to the intellectual, physical, and social development of every student. Diamond Bar will be a community where every student’s cultural heritage enriches the learning experience for all students. Diamond Bar will value the five “A’s” of Academics, Athletics, Arts, Activities and Access so that each student will experience a personalized educational program selected from a rigorous, rich and varied curriculum.Students will be challenged to discover their unique gifts and talents; staff members will support every student in realizing his or her potential. Working in partnership with parents and the community, the Diamond Bar High School staff will provide learning opportunities that reach beyond the boundaries of the classroom and ensure every student a chance for success in college and career, and as citizens and leaders of the 21st century.